As I mentioned in my earlier post, Michael and I recently hosted a cocktail party/fund raiser. We’re both on a budget, so our little get-together had to be relatively cheap. One of the ways we cut down on costs was to limit the menu to a few dishes, and only offer one main beverage. Not only did this save money but it also made the preparation much easier! Money Saving Tip: Make Food From Scratch! We decided to make everything from scratch, like this delicious Bell Pepper and Gorgonzola Bruschetta. Making food from scratch makes the party that much more special, and it actually can cut down the costs of a party. A small jar of salsa can cost up to $4 dollars! For a party I usually need at the very minimum 2 jars….that’s $8 dollars just on salsa. I can easily make double that amount for half of that price! Bread can also be a bit pricy so I made my own. I made a pugliese and a ciabatta. Perfect for Bruschetta! 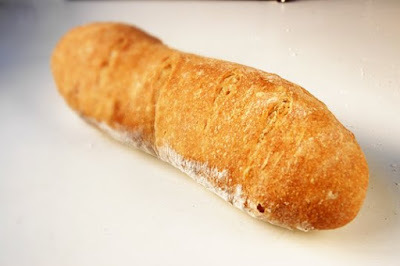 I was originally planning on making sourdough baguettes using my home made sourdough starter, but I unfortunately let Tiffany, my sourdough starter, die again. 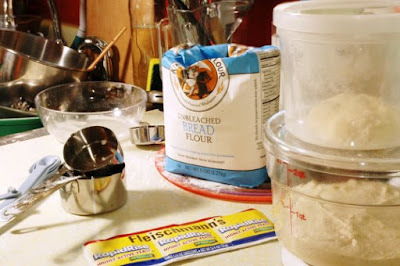 Check out this older post on how to revive sourdough starter. I followed the tips and I think she’ll make a fine comeback. Making just one cocktail can save an enormous amount of money. Booze is expensive, and if you’re making three different cocktails it can really add up. We decided to make just one, a sangria. 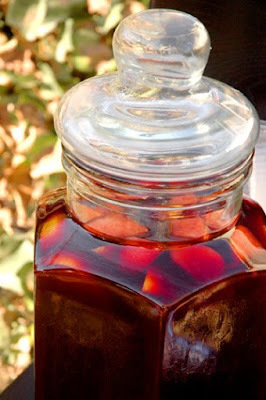 Sangria is great because almost everyone loves it, and you can make a big batch ahead of time and simply put it out once the guests arrive. Sangria is also great because you can use in-expensive wines….we used our favorite Trader Joe’s $5 dollar wine! We also had a few beers for a little option, but I find that most people will bring beer to a party, so we only bought a six-pack. Do you have any cost-cutting tips for throwing a cocktail party? Leave us a comment and let us know! great post! party on a budget, yes very true, sangria is a great inexpensive choice and taste great too for a party! for me, i look for seasonal foods, so that I am buying what is most affordable. also, I try to set the party time a little later or earlier than dinner time and let my guests know that it is a dessert party or a cocktail party or whatever. 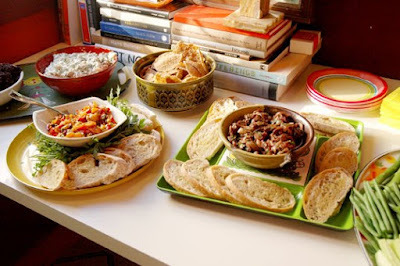 And, if it is a dinner party, I often make it vegetarian–cheaper and better for the environment. Yes, sangria is great for a party…and I love the idea of later or earlier than dinner Maybelle!